Mrs. Hankinson's Class: Merry Christmas to YOU! While I'm enjoying what is bound to be the last few hours of my *snow* day (we got ice instead of snow! 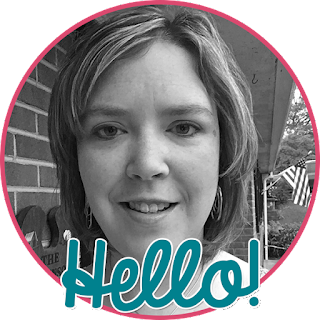 ), I wanted to quickly share with you a freebie that I will be using in my word work station! My children LOVE I Spy! 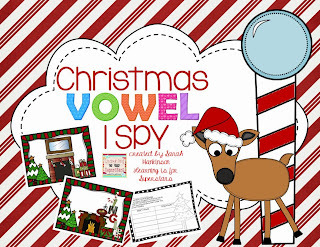 This is a fun way for them to practice long and short vowels with a Christmas theme while having fun! There are 5 different pictures with a recording page. There are different words on each page, but each picture has 5 short and 5 long vowel words to find. Click HERE or on any of the images below to download your set! My kids love I Spy. Thank you for this awesome freebie! Hi! Love this cute freebie - I could file it for next year. By the way, may I ask where the cute reindeer clip art came from in the first pic? Adorable. I'm always looking for fun new stuff! Thanks! Thanks so much ! Happy New Year!